A radical innovation is a new offering that is based on a substantially new technology relative to what already exists (Chandy and Tellis, 1998; Colarelli O’Connor, 1998), sometimes targeted at a mainstream market and on other occasions at an emerging one. For example, cordless telephones were a radical innovation relative to wired phones because they were based on a substantially new technology; however, their customer base was essentially the same. DVD players provide another example, as they used optics technology as opposed to the magnetic technology used in VCRs. 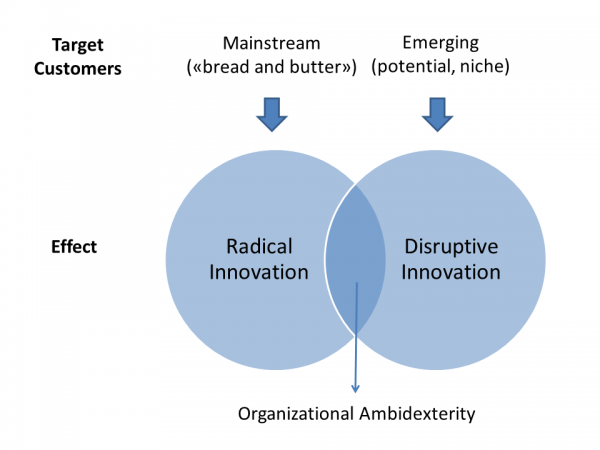 A disruptive innovation is a new offering that introduces a different set of performance attributes relative to what already exists, and this set of attributes is initially attractive to an emerging customer segment but unattractive to mainstream customers (Adner, 2002; Christensen, 1997). For example, cellular phones initially were attractive to niche markets (such as executives and doctors) for their portability, but they did not appeal to the mainstream market for their lack of reliability and coverage, as well as their high cost. The personal computer is another example. The first microcomputers (now referred to as PCs) were targeted in the mid-1970s to electronics do-ityourself hobbyists experimenting with the newly developed microprocessor. By the mid-1980s the personal computer had reached the mainstream as it became an office place fixture and common home appliance. Initially, the disruptive innovation does not appeal to mainstream customers, because it is inferior on the performance dimensions these customers value. Technological developments over time, however, raise the new offering’s attributes to a level that sufficiently satisfies mainstream customers, thus invading the mainstream market (Adner, 2002; Christensen, 1997; Christensen and Bower, 1996). Disruptive innovation does not necessarily involve cutting-edge new technology, as radical innovation does. Sometimes, it involves the application of a relatively new, but not cutting-edge, technology to a new category. Since disruptive innovations initially underperform on the attributes that are important to mainstream customers and introduce a new attribute that is important to an emerging market segment, such innovations do not attract, at least initially, the mainstream segment. However, the emerging customer segment finds them appealing. 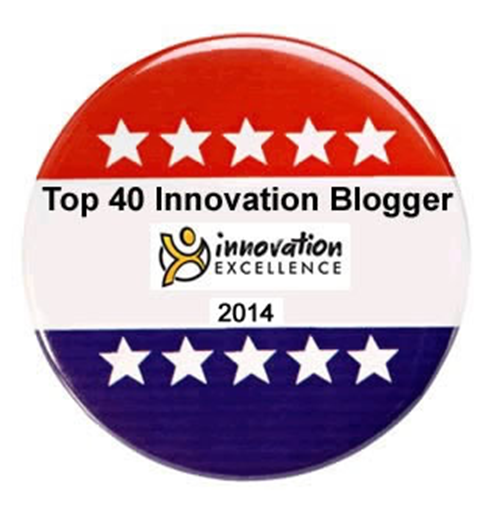 Hence, by definition, disruptive innovations would initially satisfy emerging segments. If there are technologies that can be introduced to mainstream customers directly, this implies that such innovations do indeed outperform on the attributes that mainstream customers value and therefore are more likely to be radical innovations rather than disruptive. 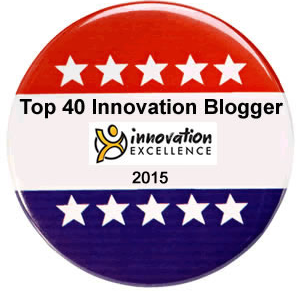 Please note: radical and disruptive innovation are distinct types of innovation. 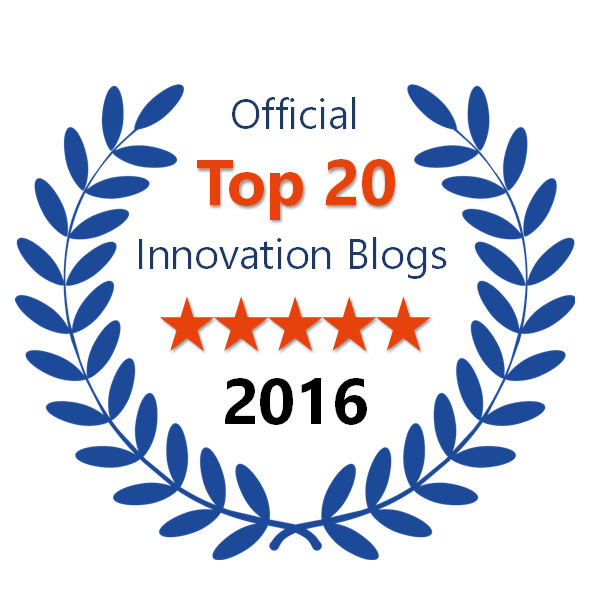 Not all radical innovations are disruptive and vice versa! In many recent cases (e.g. Apple, Amazon, Ikea or Lego), innovating the business model entails disruptive innovation without introducing a radically new technology or product. Mainstream customer orientation has a near-zero correlation with emerging customer orientation. This suggests both orientations can basically be combined and complement each other. Mainstream customer orientation has a negative effect on disruptive innovation. Mainstream customer orientation has a positive effect on radical innovation. Emerging customer orientation has a positive effect on disruptive Innovation. 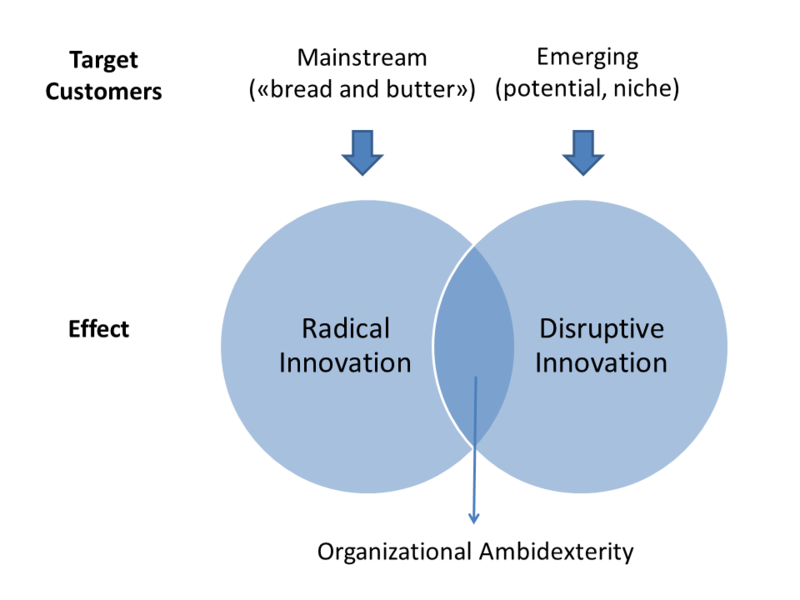 Emerging customer orientation is not related to radical innovation. One main conclusion of this research is that mainstream and emerging customer orientation should co-exist in order to develop existing businesses as well as prepare for upcoming businesses. The adoption of either a mainstream or an emerging market orientation to the exclusion of the other leads to loss of a certain type of innovation. Balancing customer orientation is another major requirement for organizational ambidexterity.